Last Sunday, February 24th was 1/15 on the lunar calendar. 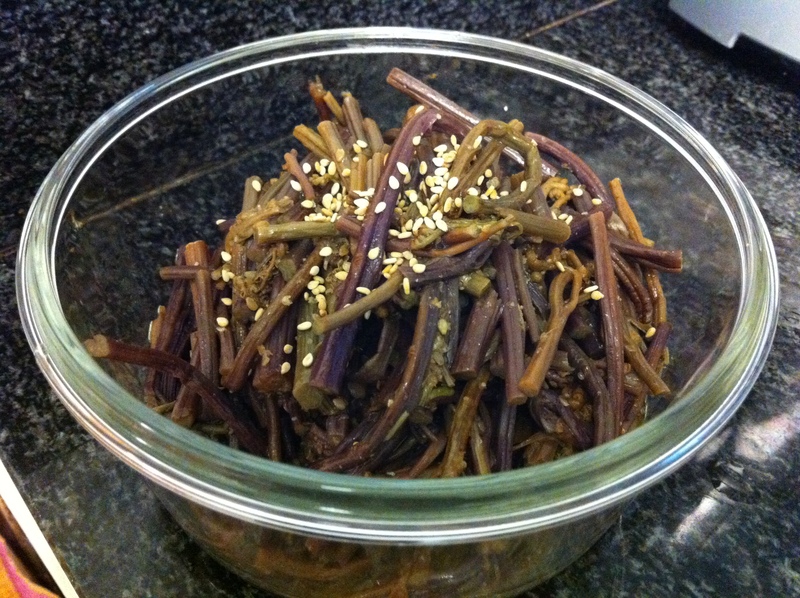 Koreans call this day Jungwol-daeboreum (정월대보름) and celebrate first full moon of the lunar calendar year. Traditionally, people wish for good health, fortune and a good year for harvest. Many of customs involve eating certain kinds of food, which include marinated sautéed dried vegetables, nuts and multigrain rice with beans. 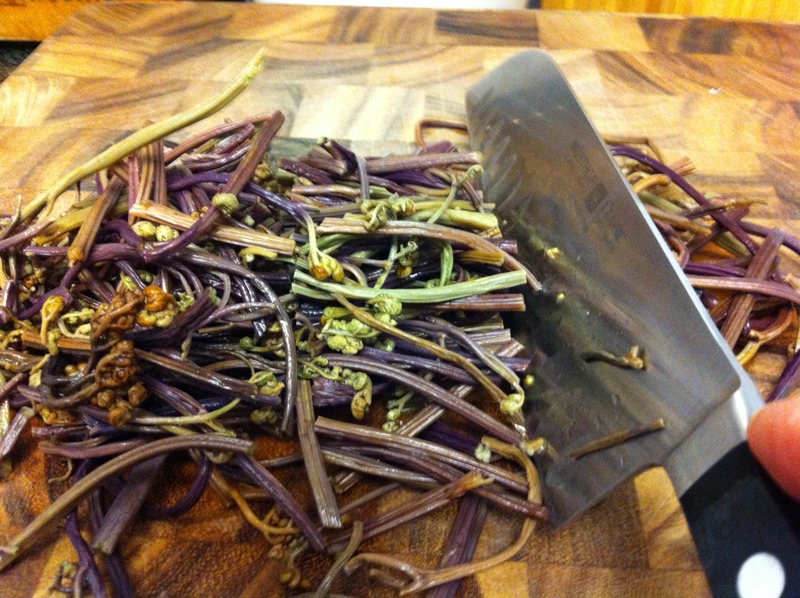 Dried vegetables were usually dried in the sunlight in the fall during harvest season, then eaten during the winter when fresh vegetables were hard to find. 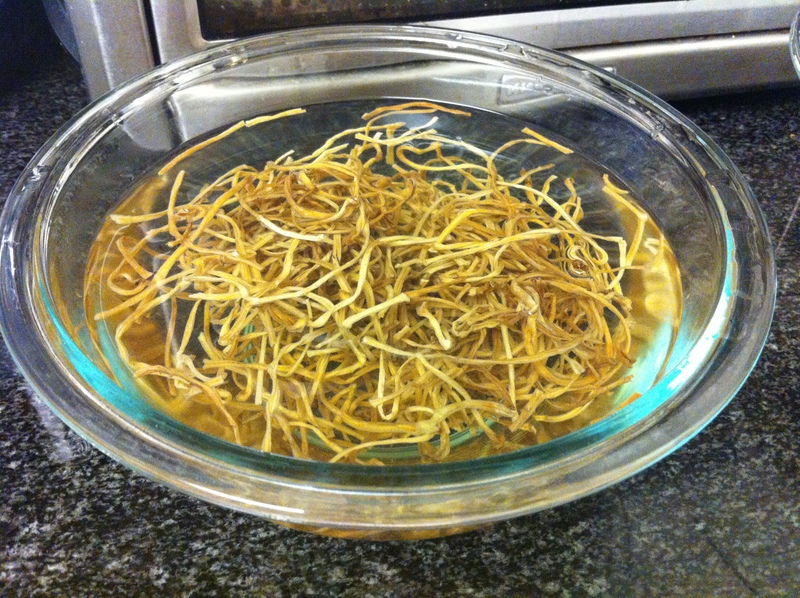 The amazing part of these dried vegetables is that they are not only full of fiber and nutrition, they are also full of vitamin D, which is most needed during the winter season. 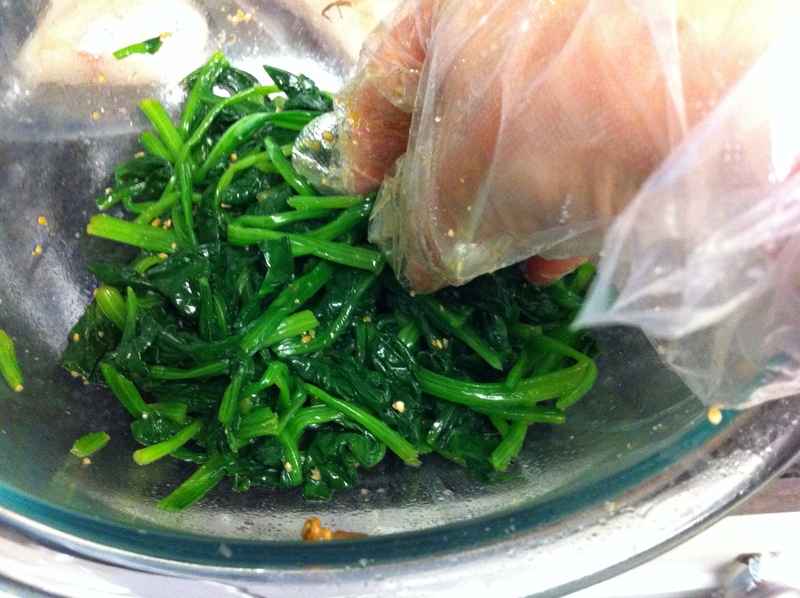 You can use either marinade to use any namul dishes besides the five vegetables I introduce today. 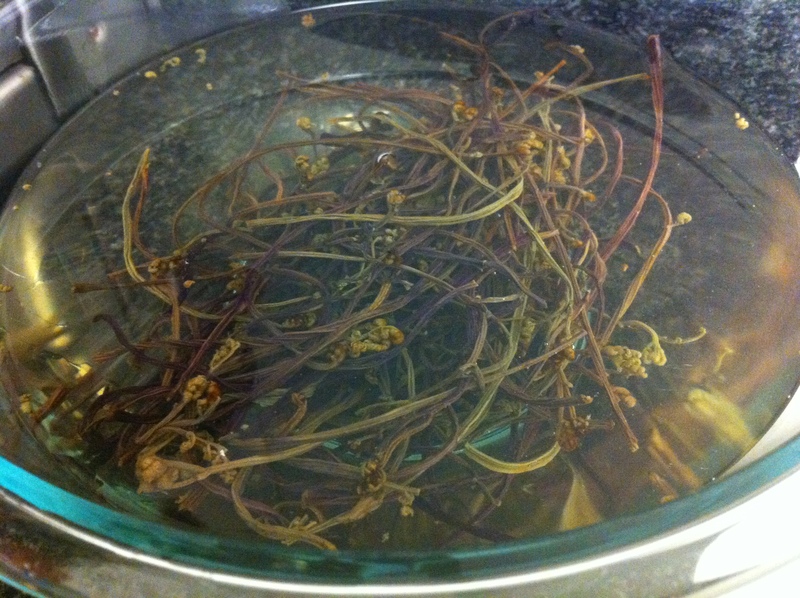 Rinse and soak the dried vegetables overnight individually in large bowls of water. They will grow about double in volume. 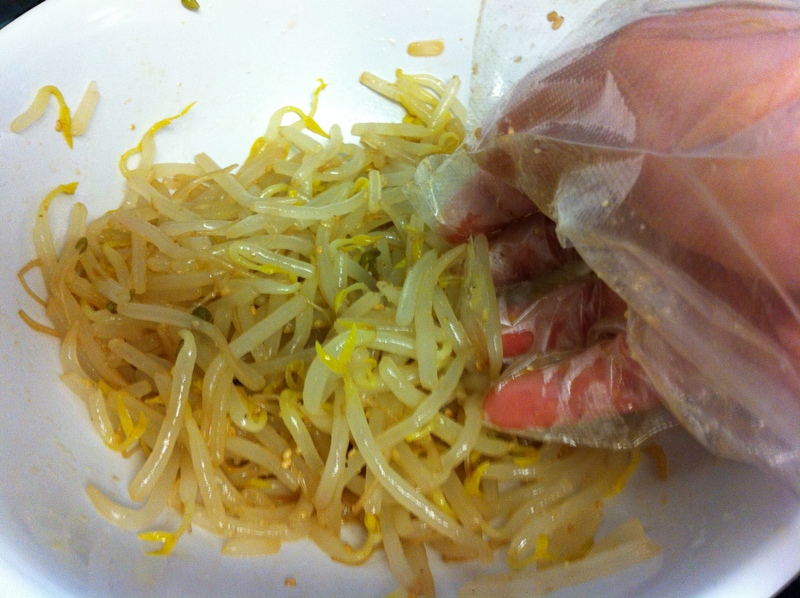 Drain the gosari (고사리), gogumasoon (고구마순) and chuweenamul (취나물) and boil them for 30 minutes to 1 hour until soft. 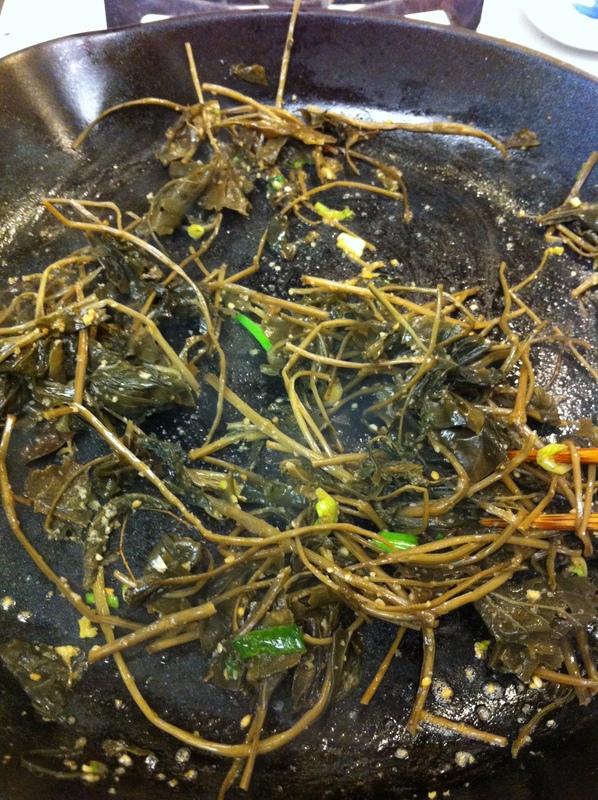 I cooked the gosari for about 30 minutes, gogumasoon and chuweenamul for about 1 hour. 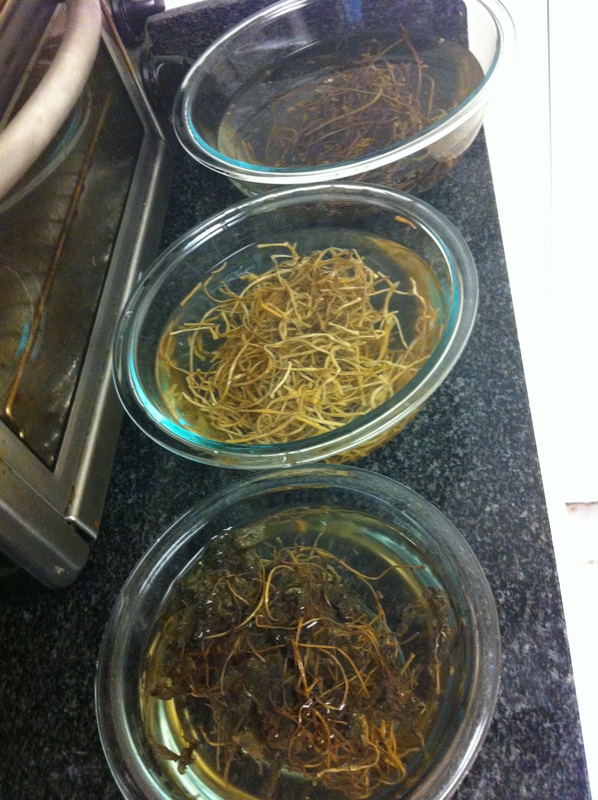 Drain and rinse each of them. 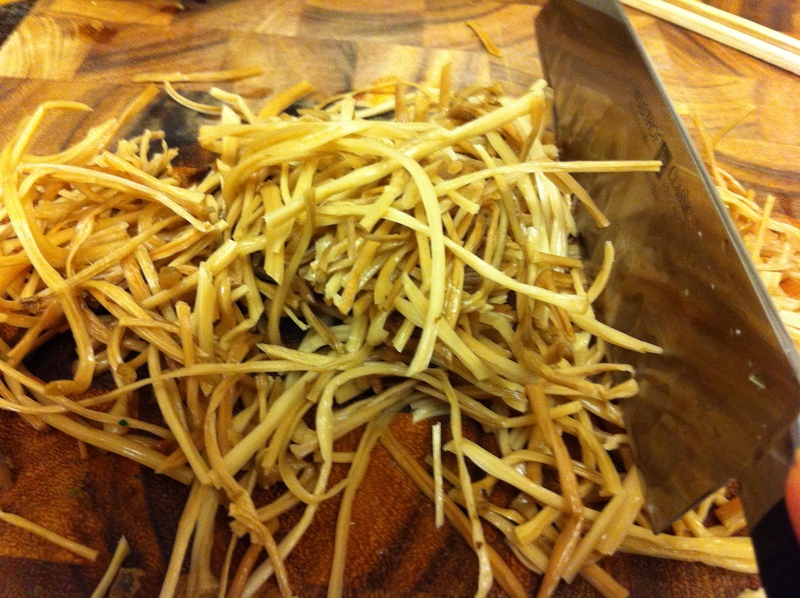 Cut the gosari and gogumasoon to about 3 inch (about 7cm) pieces. 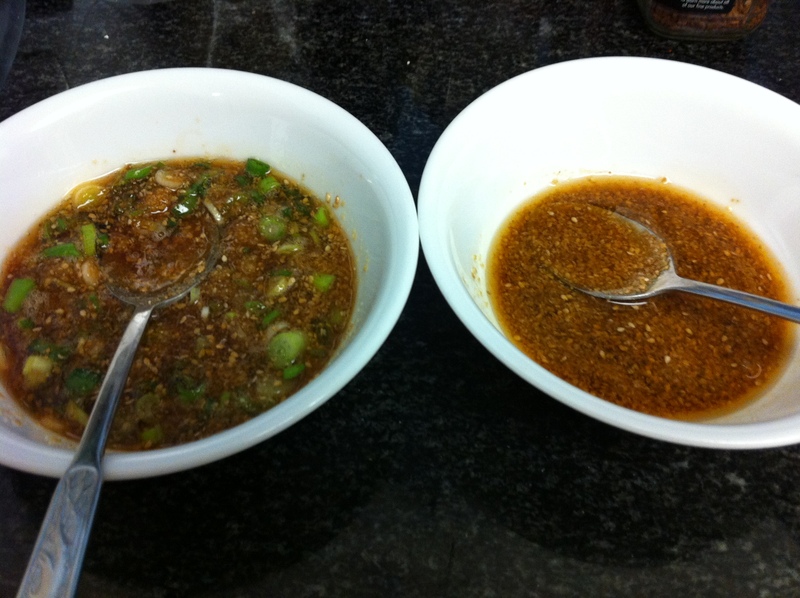 Mix the two kinds of marinade and set it aside. 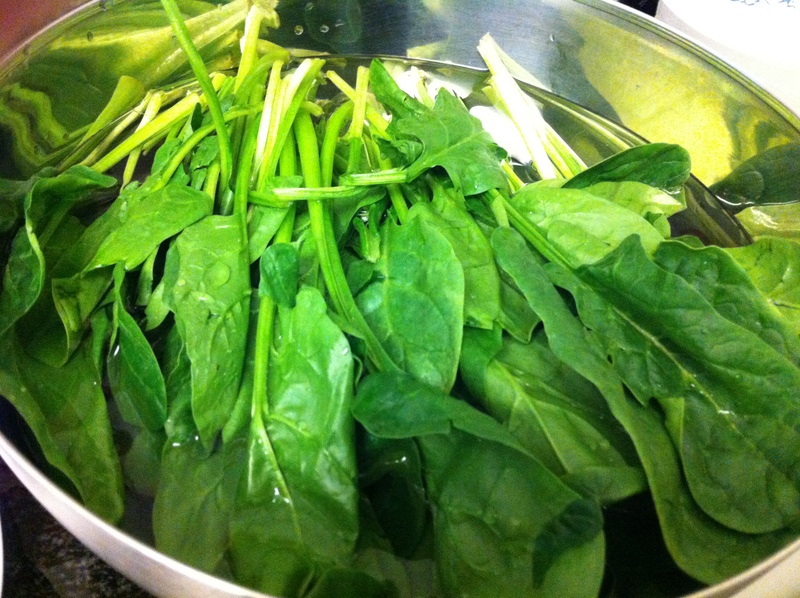 Clean the spinach and blanch it by boiling about 5 cups of water with a pinch a salt. 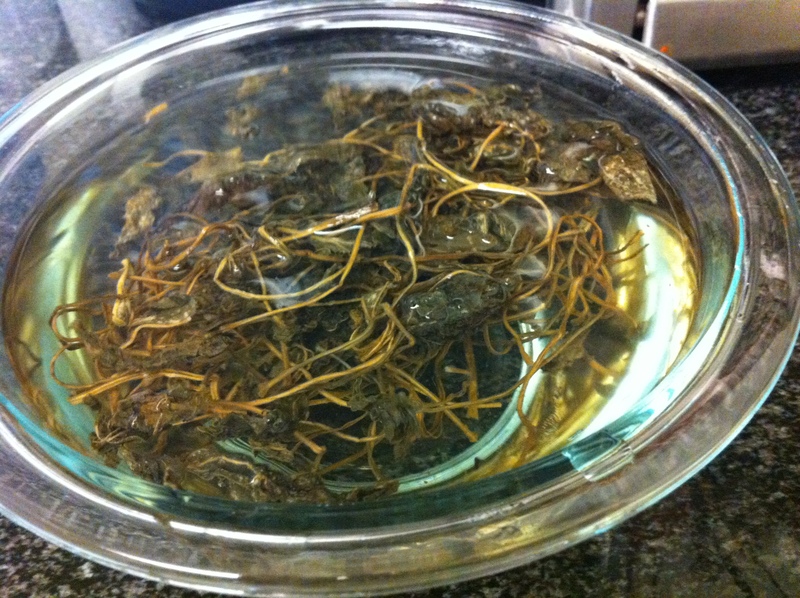 When the water boils, gently place the spinaches stem first and stir for about 2 minutes. 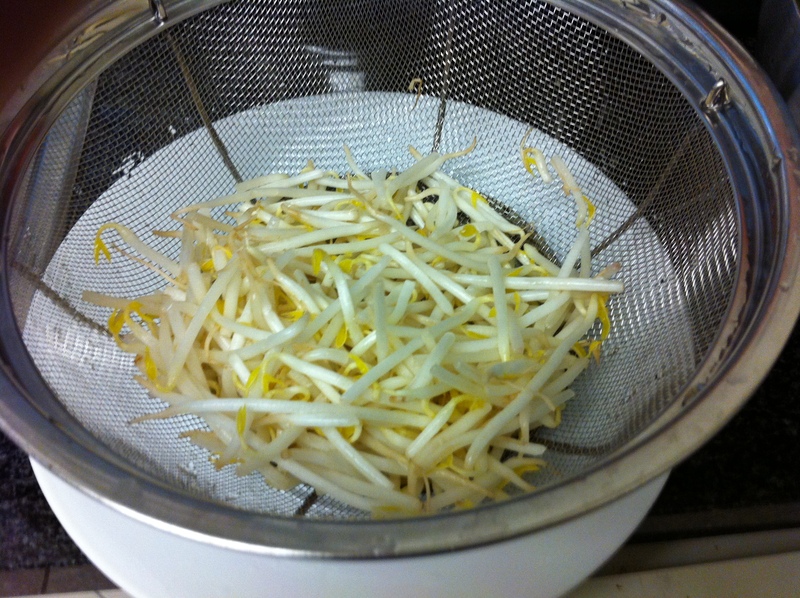 Quickly rinse it several times under cold water. Cut to about 2 inches (5 cm) pieces. 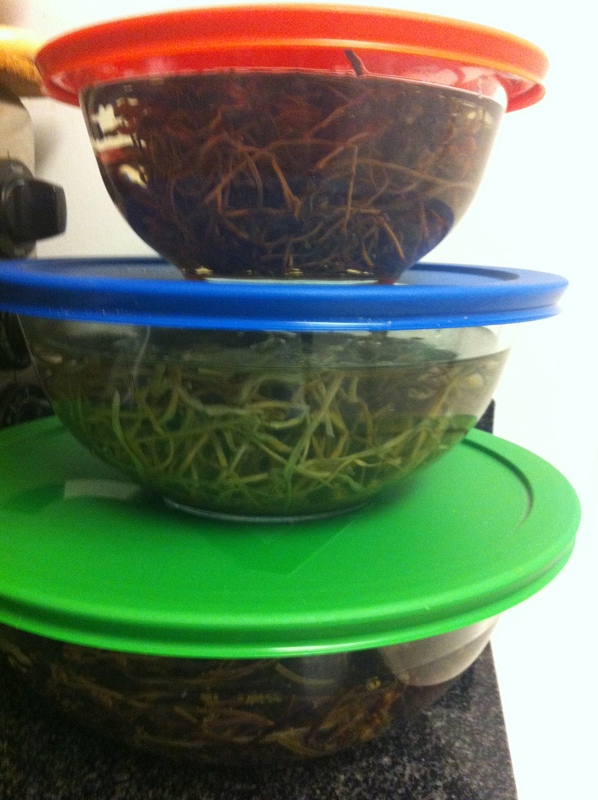 Clean the bean sprouts or soybean sprouts and blanch it the same way you did the spinach except that you cook the bean sprouts for about 4-5 minutes and not 2. 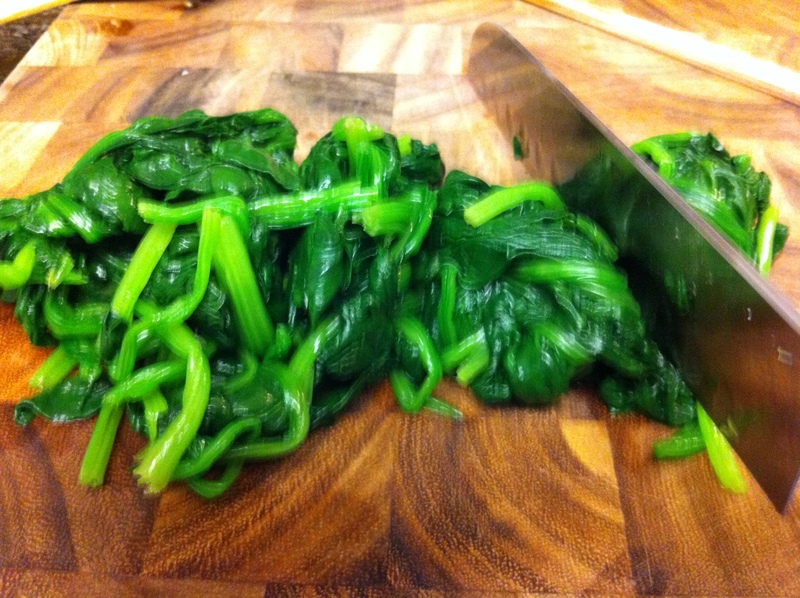 With the freshly blanched vegetables, all you have to do is mix the marinade individually with each vegetable. The best way to do this is to use your hands. I buy plastic cooking gloves (with no BPA) at Korean super markets for such purposes. 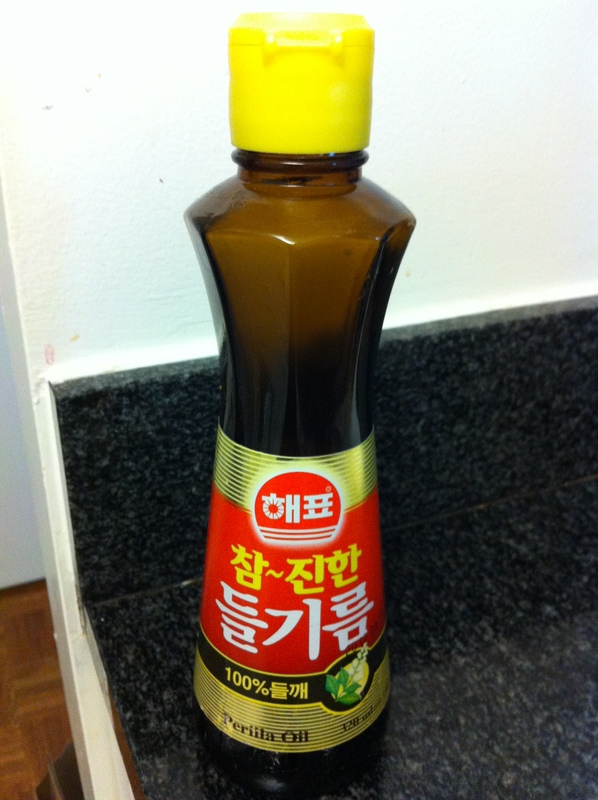 Start with about 2 tablespoons of marinade in each namul, taste and add as needed. 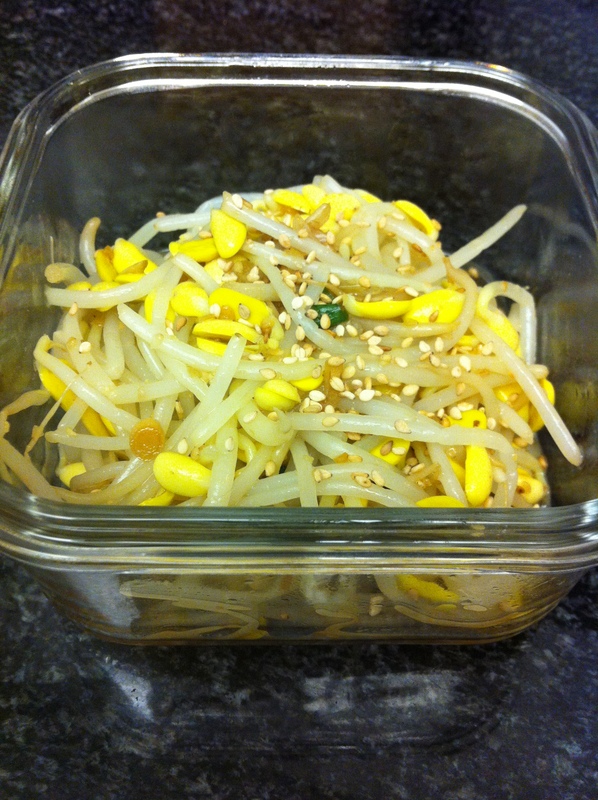 Garnish with toasted sesame seeds. Serve cold. 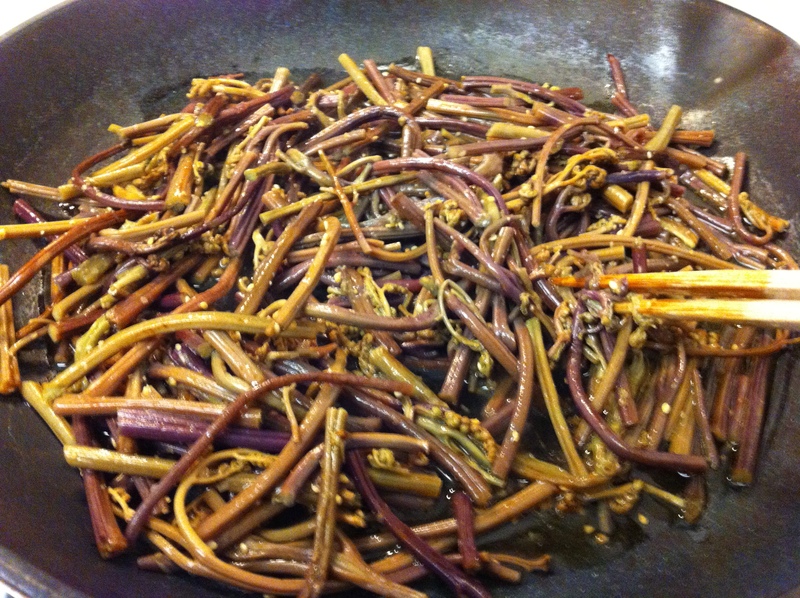 The dried vegetables that are soaked and boiled are sautéed once more with the marinade. 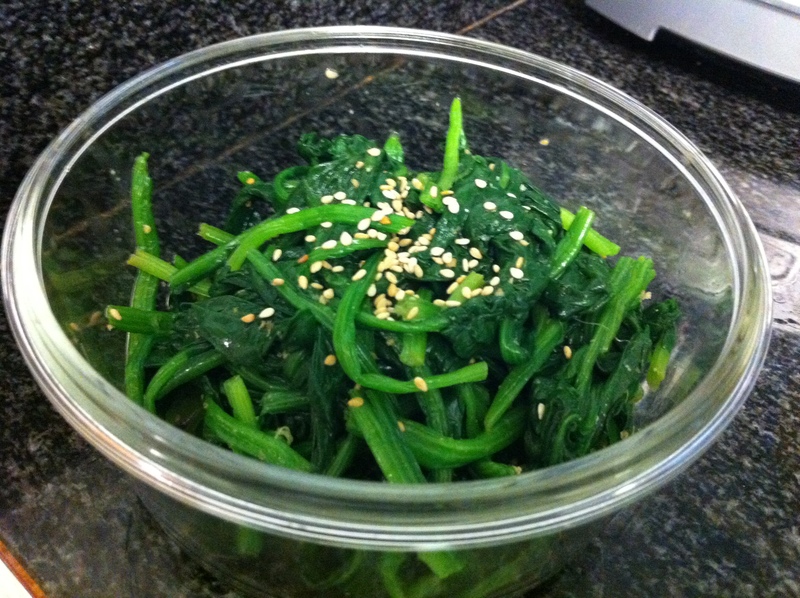 On a large skillet, drizzle about 2-3 tablespoons of perilla oil or sesame oil. 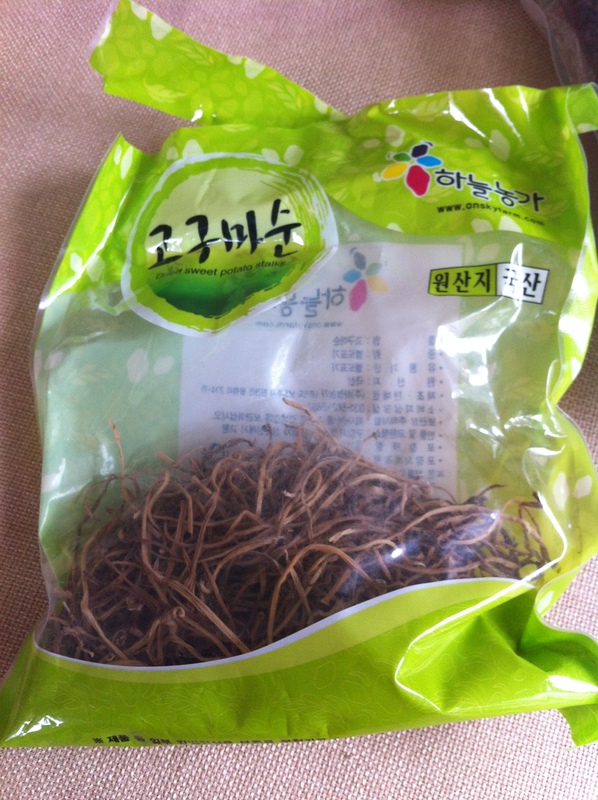 I prefer deulgireum (들기름, Perilla oil) but it is totally fine to use sesame oil. Sauté the gosari for about 3 minutes and add about 2 tablespoons of marinade. Sauté for another 3 minutes or so and taste. If you find that the vegetables are still a little tough, you can add about a cup of water or myulchi broth and let it simmer down. Add more marinade if needed and set aside. Do the same with the remaining vegetables. 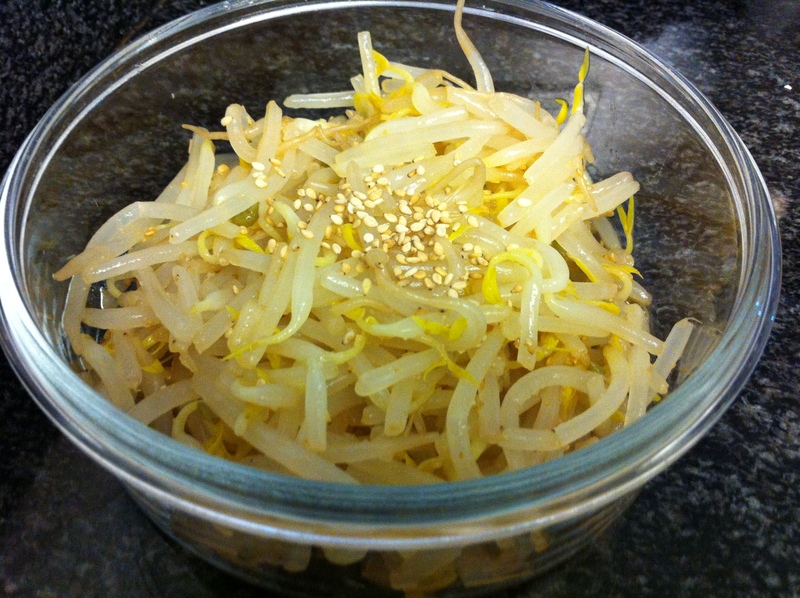 Garnish with toasted sesame seeds. Serve cold or room temperature. You can also use a pinch of salt at the end if needed. 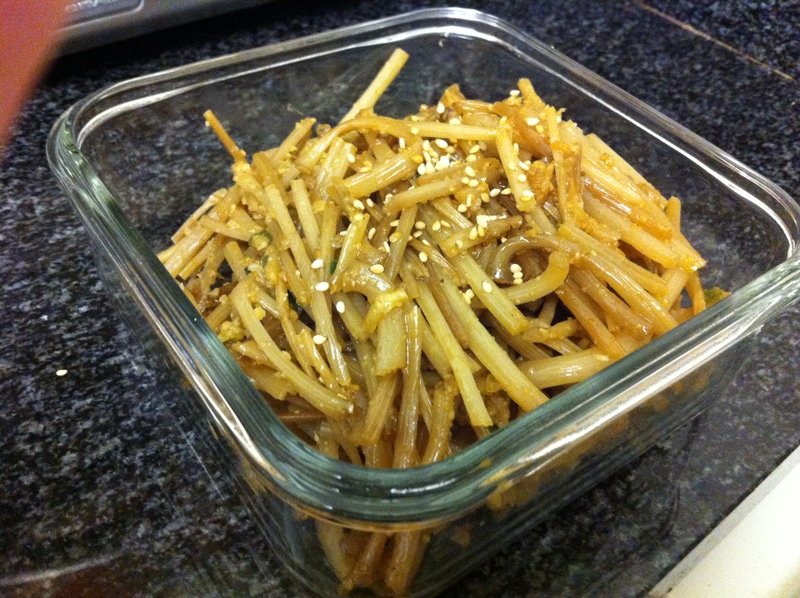 I keep the leftover namul marinade in the refrigerator and use it whenever needed. It lasts about 2-3 weeks. 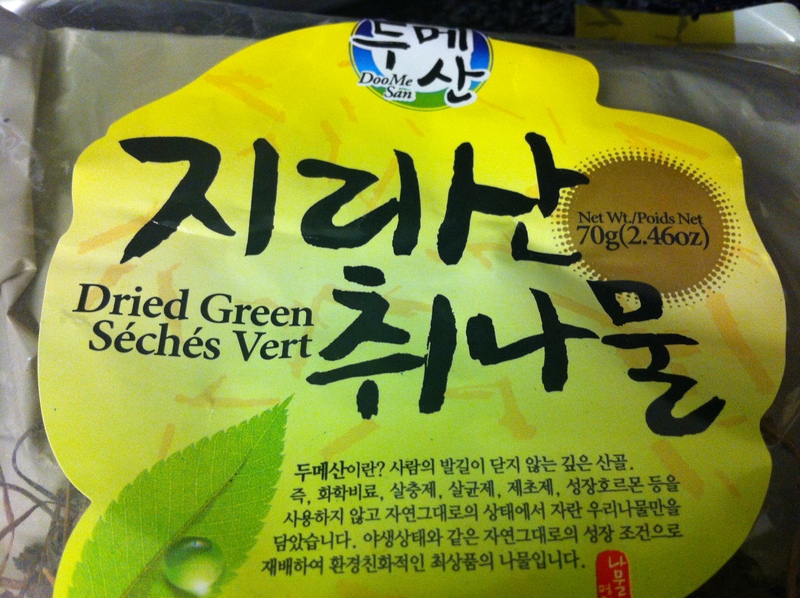 Dried namul is a great ingredient to have in your pantry because they last a very long time. 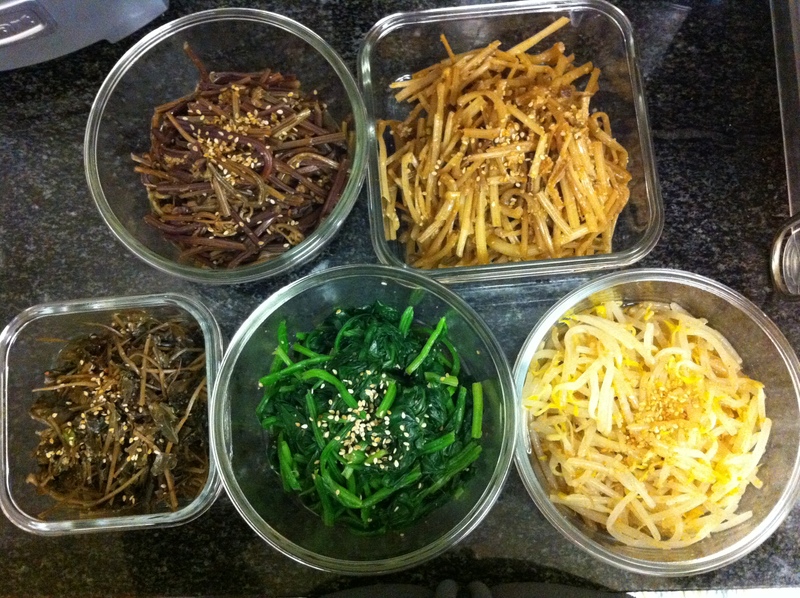 I cook them when I am out of banchans (반찬, side dishes) throughout the year without having to run the grocery. 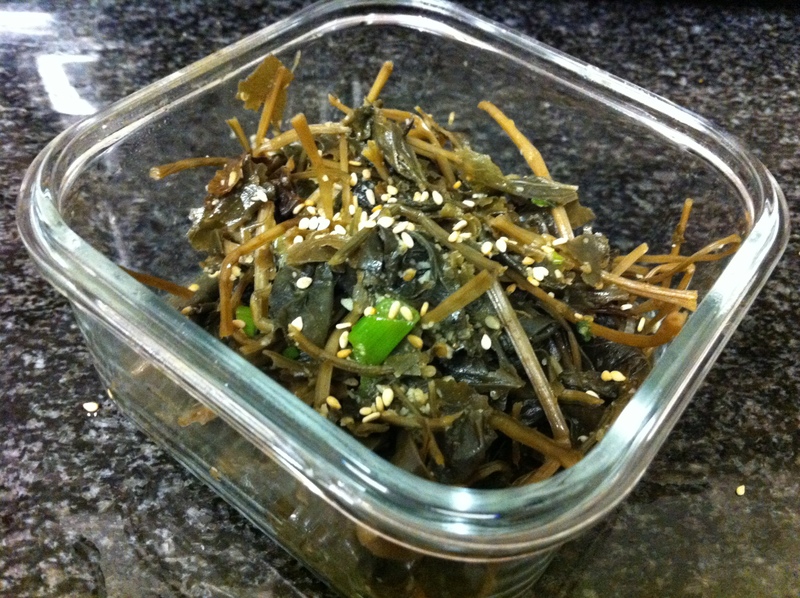 Make the most delicious bibimbap with leftover namul. 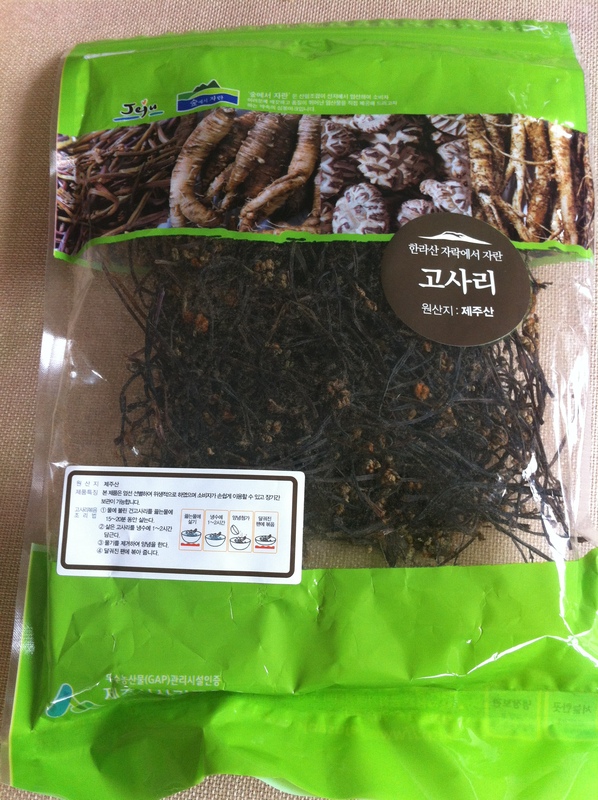 This entry was posted in Banchan (반찬, Side Dish), Good for dinner, Good for lunch, Vegan/Vegetarian Options and tagged Gosari, Namul, Spinach, Sukjoo, Vegan/Vegetarian Options by gangnamkitchen. Bookmark the permalink.